OSHA (US Department of Labor Occupational Safety and Health Administration) is the main federal agency charged with the enforcement of safety and health legislation. OSHA Regulations regarding first aid kits are contained in the Code of Federal Regulations under section 29 CFR 1910.151 and in Appendix A.
OSHA does not provide specifications for the first aid contents per se but defined mandatory requirements for availability of kits at it's worksites. 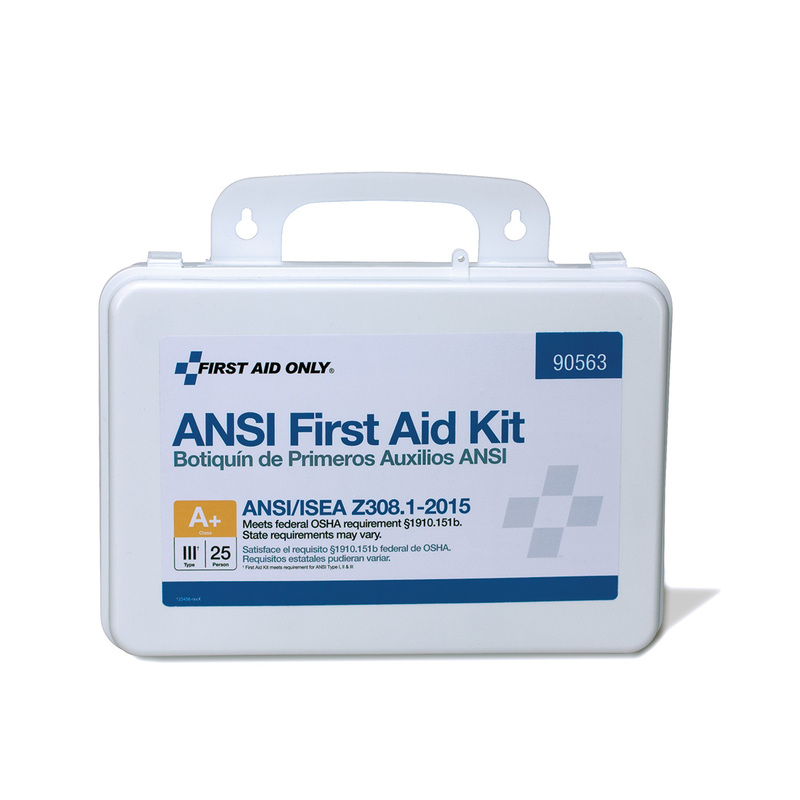 In Appendix A of the OSHA guidelines, ANSI (American National Standards Institute) is referenced as the originator of first aid kit specifications and minimum content requirements. Please click Read more to see a chart of all the changes. Across the nation, twenty-seven states have made CPR mandatory for high school graduation and twelve states have bills introduced into legislation. June 1 to 7 is National CPR and AED Awareness Week. The Sudden Cardiac Arrest Foundation estimates approximately 326,000 people of all ages will experience a sudden cardiac arrest outside of the hospital and 9 out of 10 of these victims will die each year. We can help reduce this statistic by learning Hand-Only CPR and remembering these two simple steps!